I received my Everdrive PCB’s recently directly from the maker KRIKzz in Ukraine, thanks to “dutch” for setting up a group buy for ASSEMbler board members. The Everdrive is a flash cartridge for the Megadrive/Genesis (Everdrive MD) and the Super Nintendo (Super Everdrive). Both boards take an SD card and load Rom images into flash memory and play them on the original hardware. The flashed game is retained even when the machine is switched off and the cart removed. The Flash Rom is said to have a life 100,000 or more full writes. Both PCB’s are well designed and build to a very high standard. 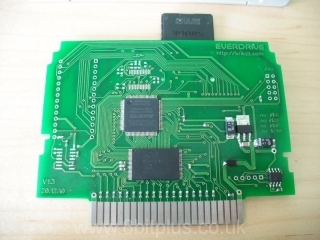 You have to remember that KRIKzz is a one man band when designing and manufacturing these devices, and there is often more demand than supply with the Everdrive’s selling out almost as soon as online shops get stock. 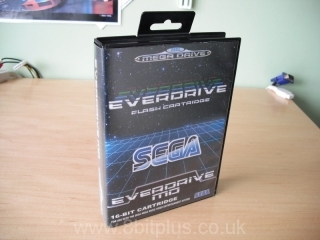 My order was just for the Everdrive boards. I then selected cartridge cases from spare games. 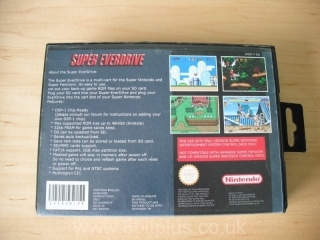 The Megadrive cart was Sonic 2 and the SNES case was from FIFA. I removed the old PCB and the original label, then cleaned the carts to remove the old label glue. I designed the cartridge labels and the boxes to look as authentic as I could. 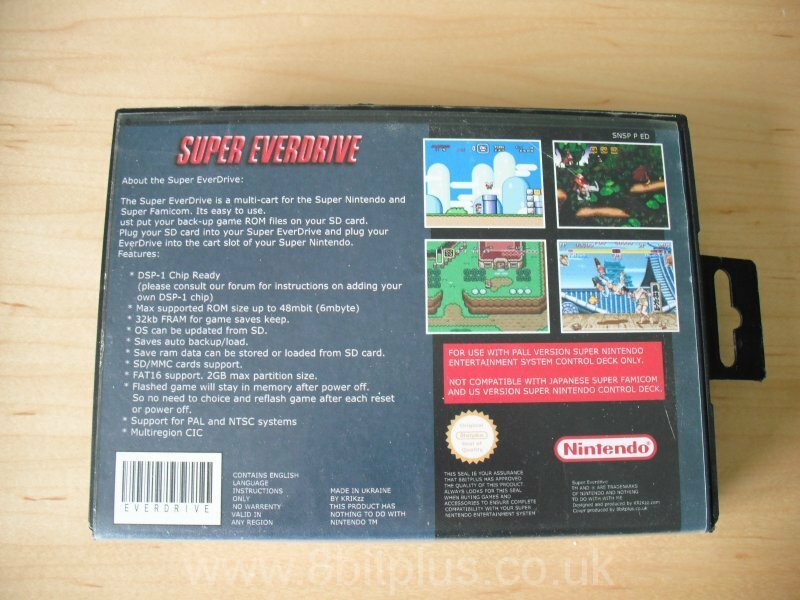 At first I intended to make a cardboard box for the Super Everdrive, like the original Nintendo ones. I soon changed my mind in favor of a EA Sports Mega Drive plastic snapcase adapted to hold the cart. The cartridge labels are printed on self adhesive glossy photo paper, and the box covers are also printed on photo paper for a crisp finish. I even printed custom labels for the Sandisk SD cards. Both products are fantastic. 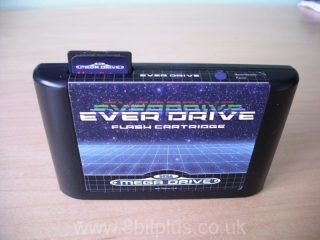 I own a few flash cards and floppy loaders for various systems, and I can safely say that the Everdrive’s are the best I have ever seen. Other products on the market for Mega Drive and SNES like the Power Pak place the game data in Ram. This gets a faster load time, but the game will be lost when you switch off. The Everdrive has the ability to store the game save data to the SD card and restore it on game loading, its all automated. You can spend hours playing Phantasy Star IV for example, then save the game in the normal manner. Even after you flash other games on there then go back to Phantasy Star your save game is still available. Its so simple, flash… play. Easy! Another flash card I have for the Mega Drive is the old Tototech system. 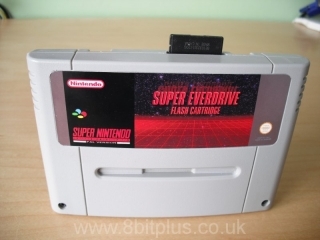 Everdrive makes this look very primitive in comparison. The Tototeck unit sits in a dock and the data is flashed over from a PC by parallel cable. Saves are stored on the card but need moving over to the PC later. Everdrive is the first copying unit I have seen that allows for Master System games to be played on the Megadrive. This is a nice touch as the MS has plenty of great games like Sonic Chaos. Much the same as the Mega Drive unit. all the same save backup and restore features. 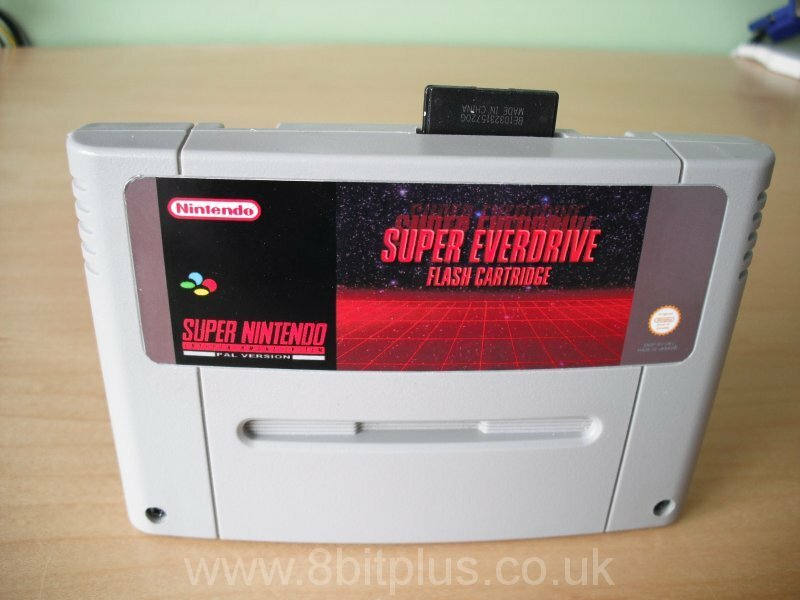 I found that the Super Everdrive is rather fussy about the roms it will flash, but if you stick to the goodsnes set its fine. The compatibly is not as high as the MD unit. 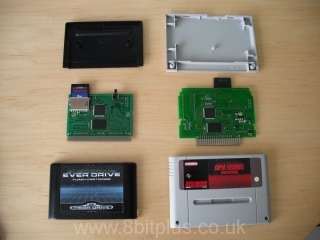 Nintendo sometimes put extra chips and processors into there cartridges witch the Everdrive does not contain. You can install (or get pre-installed) a DPS-1 chip to play a few more games like Mario Kart and Pilot Wings. But I have both those games and have a DPS-1 chip for my Game Doctor SF7. As you’d expect Super FX games wont play. 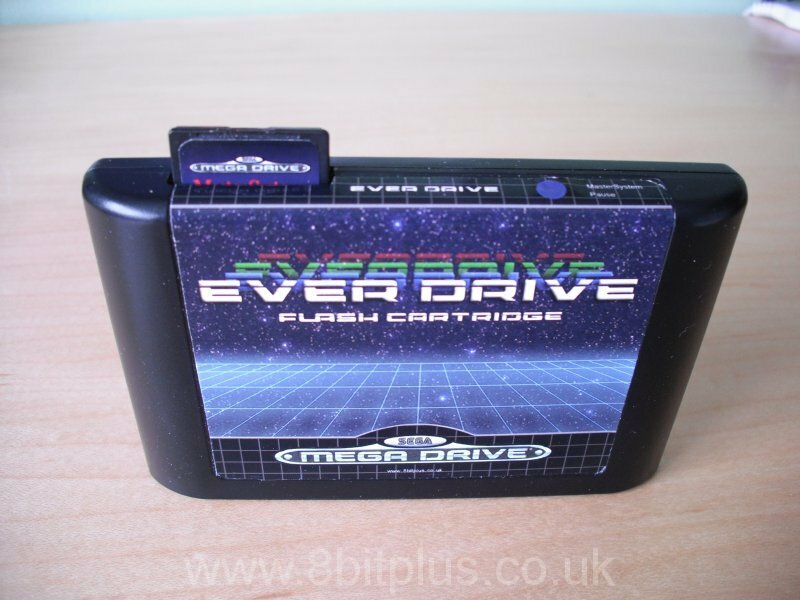 For most of the game library its just as easy as the Everdrive MD. Just Flash and play. 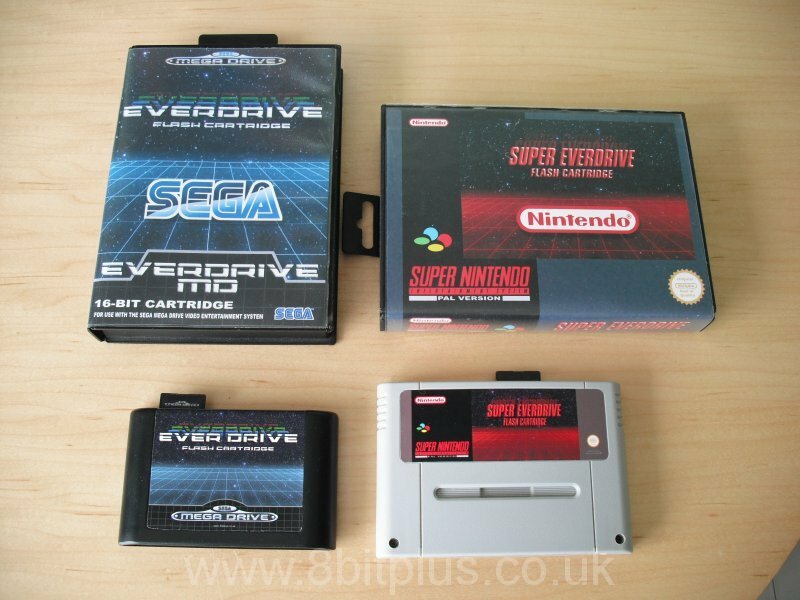 If you are into retro games and love the classic 16bit era then I highly recommend the Everdrive units. 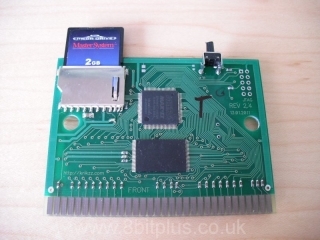 KRIKzz also has a unit available for the Master System, and soon for Game Gear. He is also working on a new unit for the N64, so plenty to look forward to.